Education is changing. In Kenya in the last 10 years there’s been an explosion in university education, evening classes, online learning, Masters, MBAs, modular courses… But deeper changes are going on too. And if we’re involved in education – either as providers or as receivers (and most of are one or both of those), then it’s vital we understand these paradigm shifts. Lacking cultural purpose. Idealism, ideology and cultural struggle and progress are out of favour. 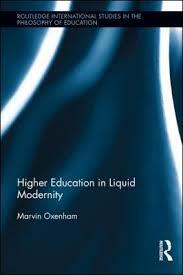 “In liquid modernity, social institutions like higher education are no longer theorists of meaning nor do they shape identities, but simply support individuals in their life projects.” So this point really follows from the previous one – student-centred learning. But one consequence is, “Education no longer produces leaders but acts as a… facilitator of personal development.” Another problem is a silencing of debate. Liquid education doesn’t encourage quality discussion and challenge and analysis of discourse (religious, cultural or political). The sort of public debate and conversation that was going on in Athens in Acts 17 falls silent. Uneasy with reason. Liquid education is less interested in theory and logic and thinking things through in a careful, coherent way, and more interested in competencies and skills (see point 2). “Breadth and depth is being replaced by utility and profit.” Fewer and fewer people are studying philosophy, ethics, theology and the arts and more are taking business management, communications and IT. Unstructured. “We are already seeing heavy weight curricula losing out in favour of modular… MOOCs, and even the demise of traditional degrees… [in favour of] portfolios”. This flows from point 2 above – the lack of a desire to link units of knowledge together into a coherent whole but rather see them as disconnected “bite-sized” skill-based nuggets – and from point 3 – the student knows best not the institution so it is best (so it is said) to let the student chose from a fragmented smorgasbord according to their personal development plan. Shackled to the market. “Education is quickly becoming [or has already become] a commodity.” It is no longer about the pursuit of culture or knowledge or wisdom. It is about the pursuit of money – both on the part of the student and the educational ‘facilitator’. Oxenham interestingly points out that the word ‘school’ has its origin in ‘schole’ (Gk) meaning “free time to nourish human growth”. But now in school there is little time for anything that is not focussed on the end of capital growth. In contrast to deconstruction, theology values tradition and church history, not as determinative but as Spirit-filled brothers who have gone before and from whom we can learn much. Theology should have a right humility that none of us will ever fully comprehend the mind of God but we do believe there is such a thing as progress (in God’s grace) towards coherence and truth and depth of understanding. In contrast to pragmatism, there is in theology a right focus on God as the end in Himself. While relevance and ministry equipping are good things, studying the Bible is not simply “to produce useful outcomes” but to see Christ and know and glory in and enjoy him. In contrast to student-centredness, theological education is centred around the text and its author and the teacher is not just a ‘learning facilitator’ but a preacher, instructor, model and mentor whose character and relationship with the student and with the subject matter enormously. In contrast to a lack of cultural purpose, theology is concerned with right living, servant leadership, social justice, growth and progress of individuals, families and communities in the best and deepest senses. In contrast to an unease with reason, Christian theology is committed to thinking. Granted our thinking is fallen and limited but we are at least committed to a coherent view of reality as it is revealed by a reasonable God who has given reason to those in his image and who wants us use our minds. In contrast to fragmentation, “we still hold on to structure to a degree… we believe in a God who in addition to being ‘other’, un-tame and unpredictably creative is also a God of order, unity and progress. What do you think? 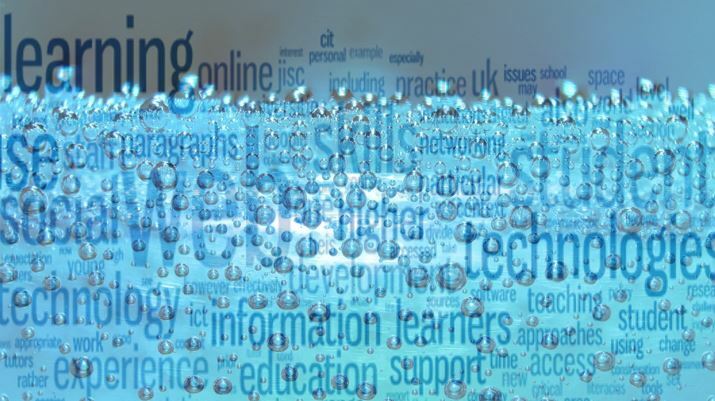 Does this description of liquid education resonate with your experience? How should the gospel shape our thinking about education? Tags: Education, Oxenham, postmodernity, theology. Bookmark the permalink.